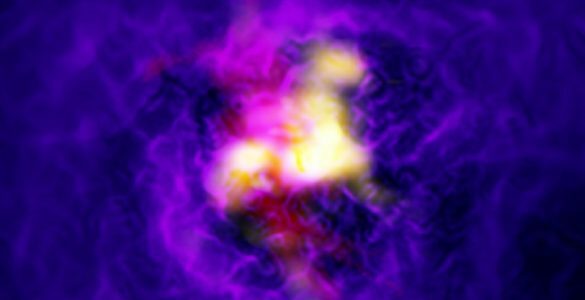 Galaxies can be remarkably dusty places and supernovas are thought to be a primary source of that dust, especially in the early Universe. Direct evidence of a supernovas dust-making capabilities, however, has been slim and cannot account for the copious amount of dust detected in young, distant galaxies. The results are being reported at the January meeting of the American Astronomical Society (AAS). They also are accepted for publication in the Astrophysical Journal Letters. An international team of astronomers used ALMA to observe the glowing remains of supernova 1987A, which is in the Large Magellanic Cloud, a dwarf galaxy orbiting the Milky Way approximately 168,000 light-years from Earth. Light from this supernova arrived at Earth in 1987, inspiring its name. This makes 1987A the closest observed supernova explosion since Johannes Keplers observation of a supernova inside the Milky Way in 1604. 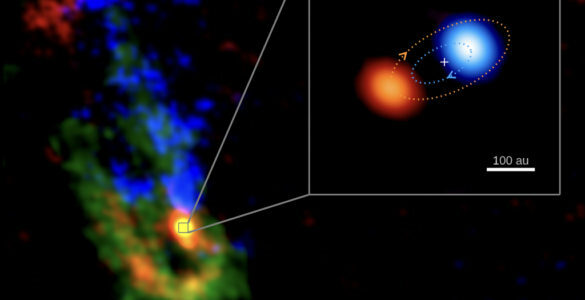 Astronomers predicted that as the gas cooled after the explosion, large amounts of molecules and dust would form as atoms of oxygen, carbon, and silicon bonded together in the cold central regions of the remnant. However, earlier observations of 1987A with infrared telescopes, made within the first 500 days after the explosion, detected only a small amount hot dust. 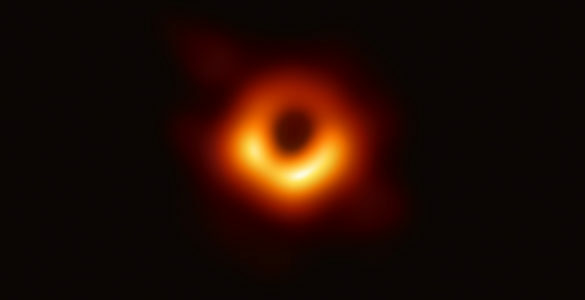 With ALMAs unprecedented resolution and sensitivity, the research team was able to image the far more abundant cold dust, which glows brightly in millimeter and submillimeter light. The astronomers estimate that the remnant now contains about 25 percent the mass of our Sun in newly formed dust. They also found that significant amounts of carbon monoxide and silicon monoxide have formed. 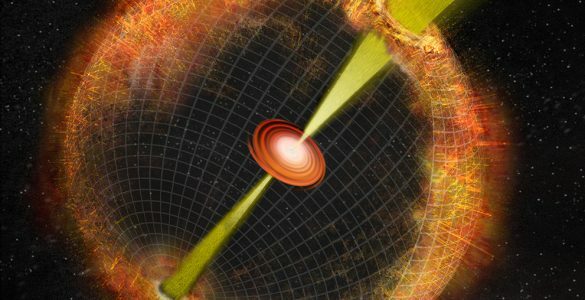 Supernovas, however, can both create and destroy dust grains. 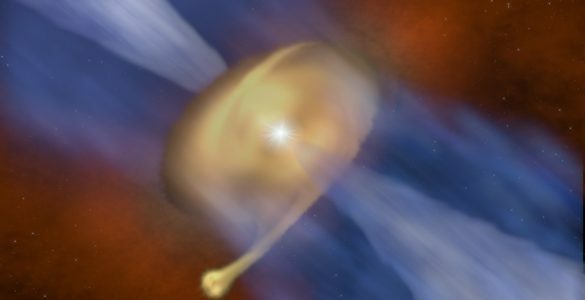 If a good fraction survives and makes it into interstellar space, it could account for the copious dust astronomers detect in the early Universe. 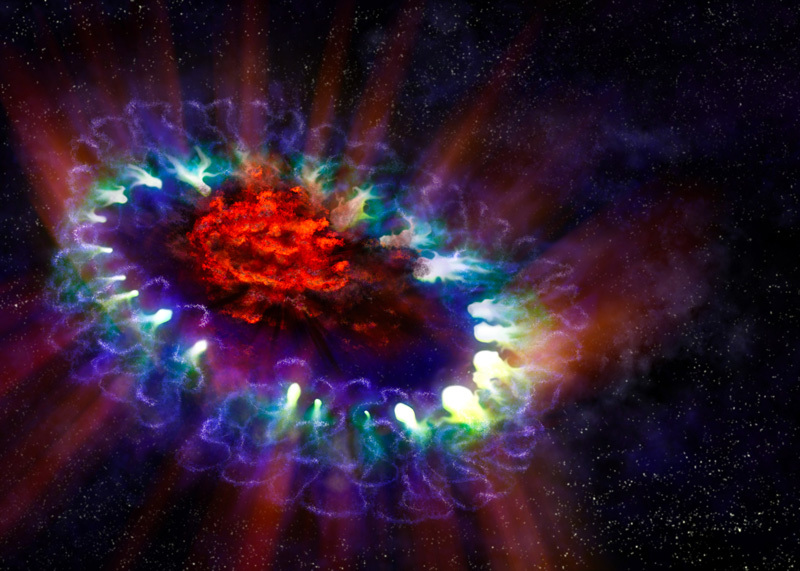 This artist's illustration of supernova 1987A reveals the cold, inner regions of the exploded star's remnants (in red) where tremendous amounts of dust were detected and imaged by ALMA. 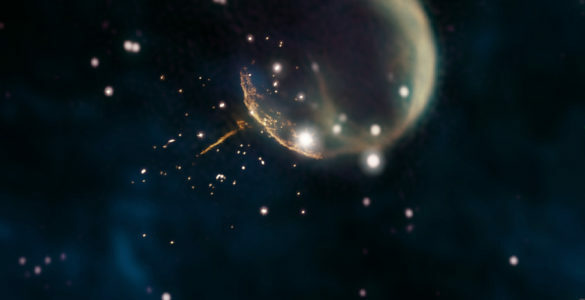 This inner region is contrasted with the outer shell (lacy white and blue circles), where the energy from the supernova is colliding with the envelope of gas ejected from the star prior to its powerful detonation. 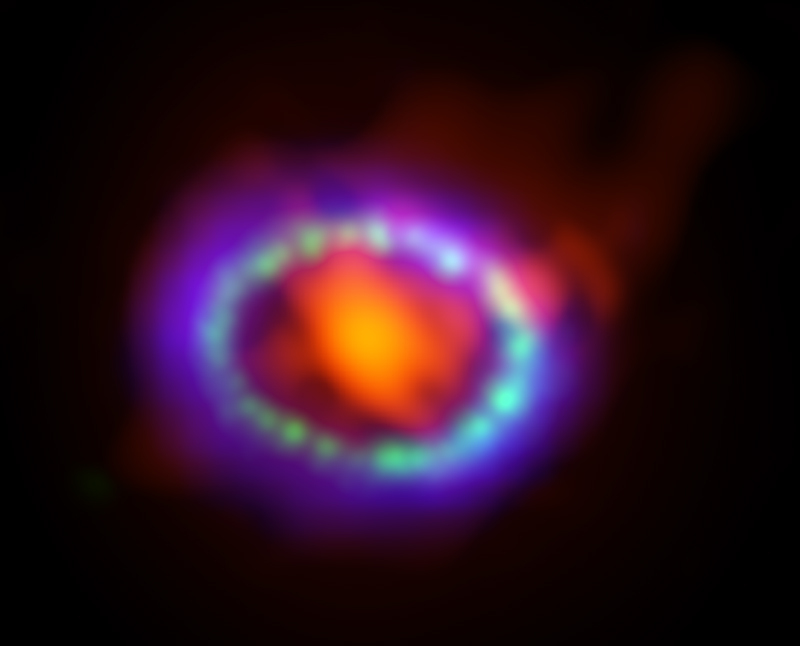 Composite image of supernova 1987A. 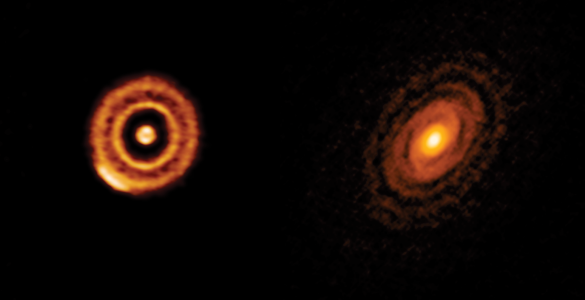 ALMA data (in red) shows newly formed dust in the center of the remnant. HST (in green) and Chandra (in blue) show the expanding shockwave.